In the past, nonprofit board members showed up for three or four meetings a year, attended the annual gala, added the info to their resume and that was it. Oh, how times are different! In the ever-changing environment of the nonprofit sector, board members are now expected to do and be so much more to organizations. In fact, nonprofit board members play an integral role in the overall success of the organizations they serve. The first two are pretty straightforward and are also, for the most part, the easiest to fulfill. These responsibilities are standing board meeting agenda items and discussion topics. They are also evenly distributed among other board members. It’s the third responsibility where most board members fall short – and where I’d like to focus. Funding sources (especially locally here in Akron, Ohio) are changing priorities and money is being distributed differently. Nonprofits need engaged board members more than ever and using their time, money and influence is the way they can make a difference. Let’s break this one down a little further. I believe there are three primary ways where board members can focus their time and energy to give more and do more. Show up. This does not mean show up to the required 50 percent of board meetings and attend one event throughout the year. You are an extension of the staff. Would you be okay if your staff only showed up half of the time? Show up to board meetings, be prepared, listen and thoughtfully provide your input. 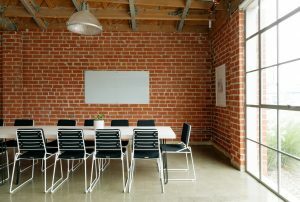 We find that most of the time, board members think of the organization an hour before the meeting and an hour after the meeting; but to be effective, you need to be engaged between meetings, too. Go to events. I’m not saying you have to attend every one. Some nonprofits hold many (maybe too many) fundraisers; however, that is another topic for another day. The focus here is to show your support in whatever ways you can. If you can’t attend, maybe you can help staff before the event, purchase a few tickets and give them away to families or friends or provide a raffle item. Any way to show you are supportive and a part of the team will go a long way. Volunteer. If your job is to support the nonprofit, try volunteering! Not only is volunteering good for the soul, but I guarantee you will get an inside look at the organization and be a better-informed board member in the long run. You will also be able to relate better with staff members and see what they encounter on a daily basis. Yes, as a board member you are required to give a monetary gift to the organization. Most grants require it and it is usually the first question an educated donor will ask. Some boards require a specific amount, while others ask for whatever you can give. Some even have a “give or get” philosophy, where you can either give that amount or solicit others to reach it. I’m not actually a fan of that approach; I believe you need to do both and I’ll get to that in the next section. Regardless of what your organization policy is, write a check from your own personal checking account to the nonprofit – no exceptions! Talk to others about the great things the nonprofit is doing. Introduce the executive director/director of development to people who have donated to or like to support the nonprofits mission. Ask someone for a gift. I know, you just shook your head. You’re thinking, “I’m not going to ask someone to give a gift, that’s not my job!” Actually, it is. The staff at your organization might not be able to say this to you, but I can – fundraising is a responsibility of the board. All of the development professionals are high-fiving me right now. (I’m high-fiving you back!) It is your job to introduce the nonprofit to large donors or corporations, set up those meetings and maybe even attend if you’re needed. If you have a personal connection with the organization, you are even more likely to be a fantastic advocate for the work the nonprofit is doing. Get out there and tell people your story of why you support this specific nonprofit. A personal story goes a long way! You need to give your time, money and influence. Not one or two, but all three. The future of your nonprofit depends on it.